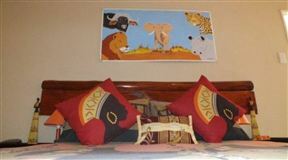 Anwil Guest House is situated in the calm and quiet neighbourhood, Bellvue in Upington. 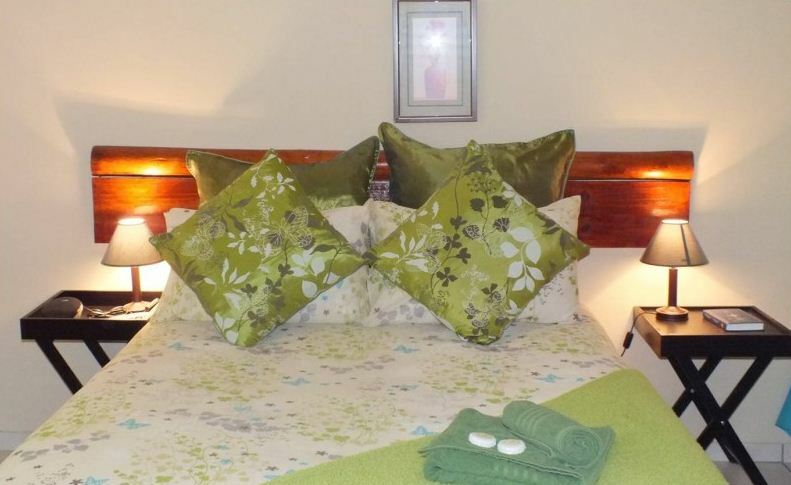 The guest house offers comfortable bed and breakfast and self-catering accommodation.The five individually decorated rooms are all equipped with tea and coffee-making facilities, cupboard space and all bedding is provided. Guest can make use of the computer, telephone and Internet facilities on request. There is also a braai facility and an outside patio area for guests&apos; enjoyment. Our staff can arrange transfers to and from the airport, as well as babysitting services. Breakfast is served daily and is a combination of a full English and a continental breakfast. Dinner and lunch can be arranged on request when booking. Guests can also make use of any of the take away shops and restaurants in the area.Upington is en-route to the Augrabies Falls National Park, about 110 km away. 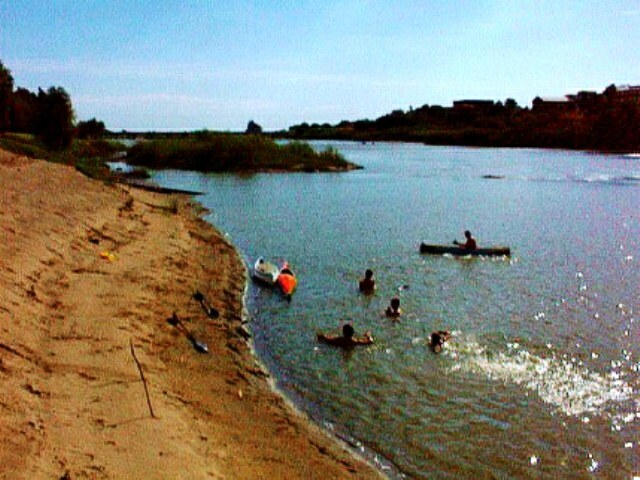 The Ark offers a variety of wildlife, as well as two hiking trails, night game drives, canoeing, mountain biking and river rafting on the Orange River. This room reflects the wildlife in South Africa. 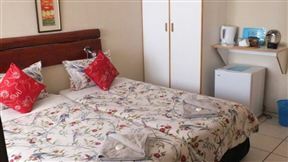 It is spacious with a double bed and has an en-suite shower and toilet. The room also offers DStv and has a bar fridge. 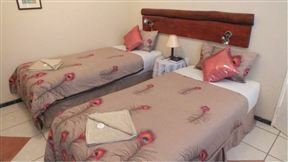 This nice and spacious room consists of two single beds and has an en-suite bathroom with a shower. The room has DStv and a bar fridge. This room is spacious with two single beds and an en-suite bathroom with a shower. The room also has DStv and a bar fridge. Using the flower as a symbol, this room is also en-suite with a shower, DStv and a bar fridge. This open-plan, self-catering unit is furnished with a double bed and two single beds. The room has a bathroom and hand shower. The self-catering facilities include a small kitchenette with a fridge.